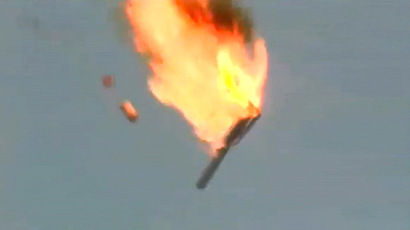 We've to confess that we have now not been over enthusiastic about this film till now. It does look increasingly like a enjoyable trip (although Ben Affleck will NEVER be an OK selection for enjoying Batman, they need to have gone with Mickey Rourke!). 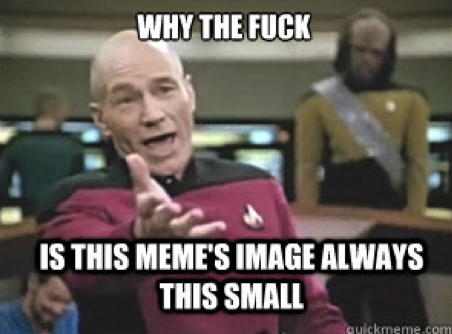 Sure, Ryan Gosling’s Hey Girl had a moment, and Ed Stark’s getting his five minutes of fame, but for internet memes that have staying power, you can’t beat Jean Luc Picard, Commander of the USS Enterprise and stoic star of The Next Generation. 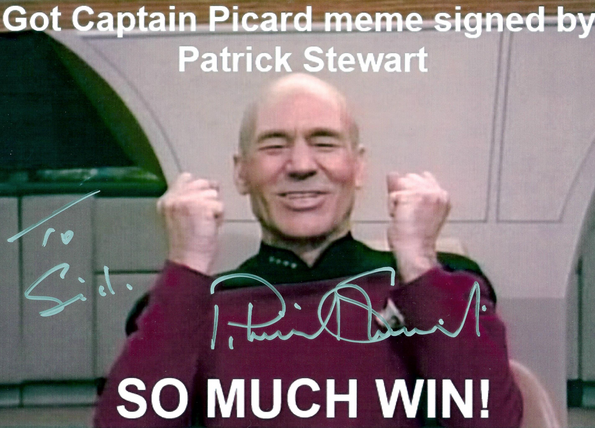 Truth is, Picard is so versatile, folks can't stop employing him for creative—and often hilarious—purposes. 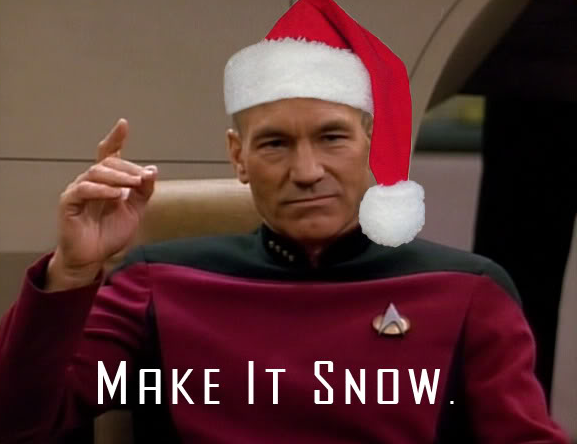 And what better time of year to do so than in the run up to Captain Picard Day, which takes place this Saturday, an opportunity to "engage" with the Commander of the USS Enterprise and stoic star of the Next Generation. 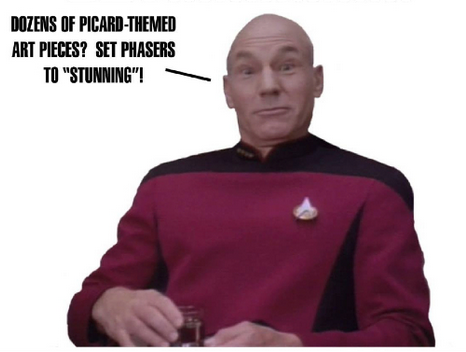 In homage, Floating World Comics is running an “art contest and show to celebrate the beauty and wisdom of Jean Luc Picard”. Those interested in submitting their Picard-inspired artistic offerings have until end of day today (Wednesday) to bring something by Floating World Comics, with the winner announced—along with prize-giving shenanigans and an opportunity to check out some of the entries—at the Floating World Comics Couch Street store on Saturday. (That's 400 NW Couch Street from 4-7:30 pm). 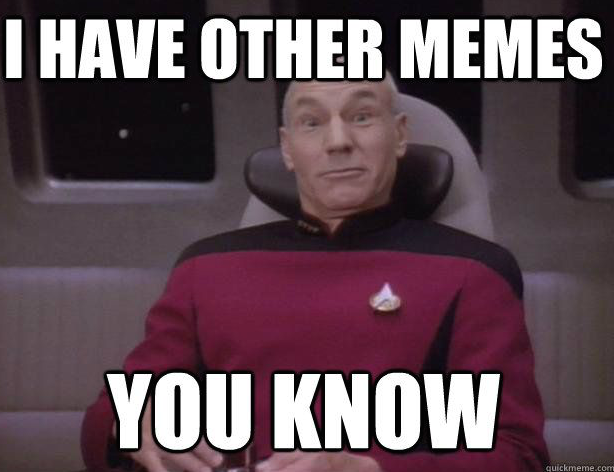 And in case you're in need of inspiration, we’ve compiled our top five Jean-Luc Picard memes to get your creative juices flowing . .. 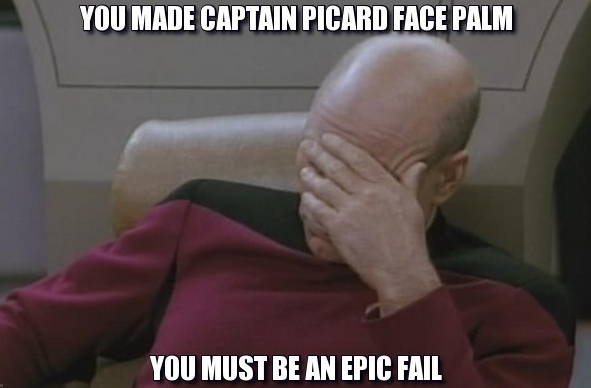 It doesn't happen often, but Jean Luc Picard is occasionally surprised. 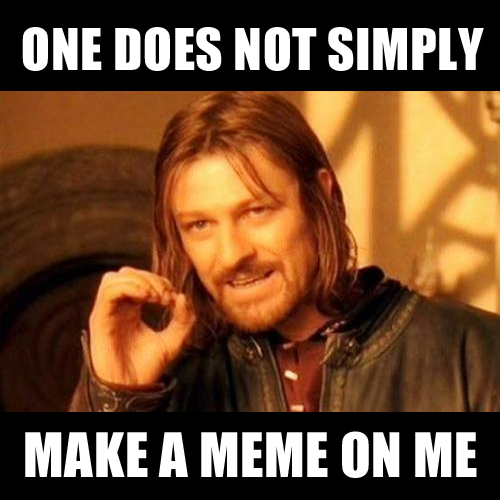 See above for Floating World Comics' awesome use of said meme. 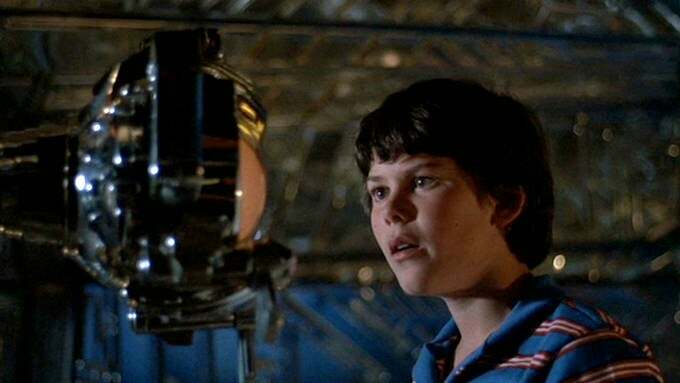 But, as the Captain himself makes clear below, there are other options . . .
You know it's bad news when you crack the unflappable exterior of Jean-Luc Picard and he unleashes the beast. Or, more likely, gets mildly irritated with you . 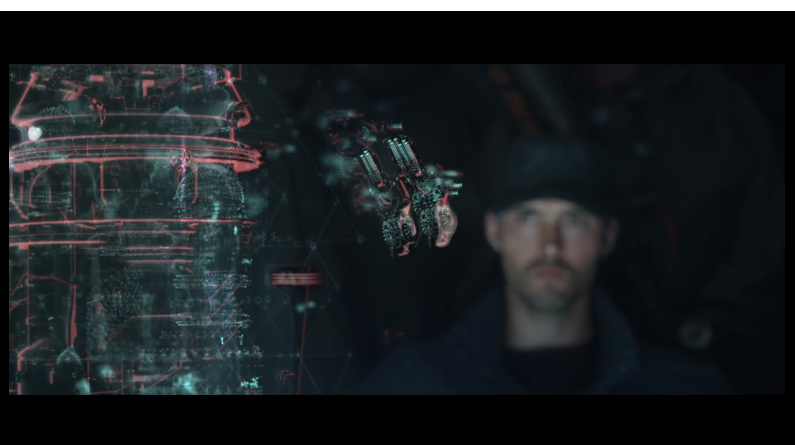 . .
All hail the Captain for a Facepalm still that gives and gives . 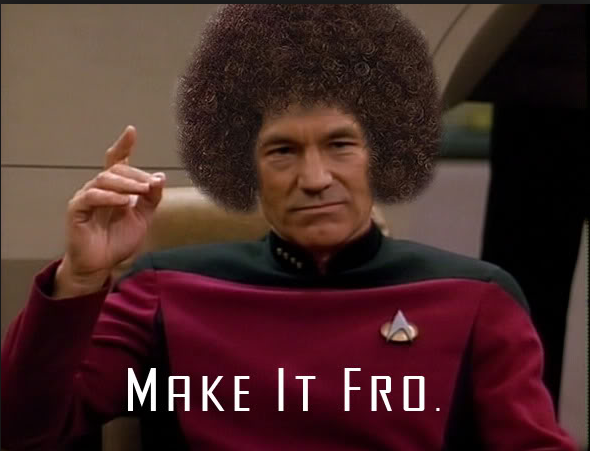 . .
No Picard meme list is complete without the inevitable play on his phrase "Make it so." Behold a few of our favorites. 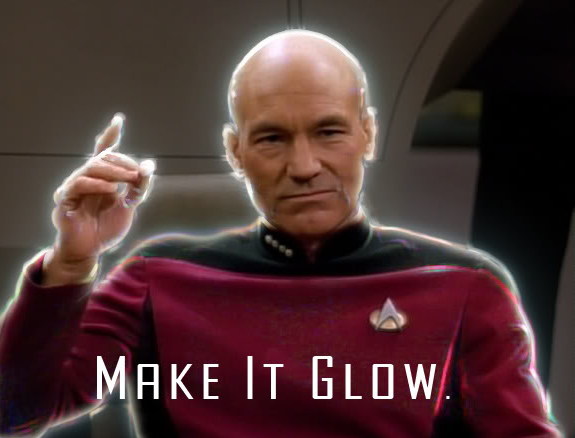 Happy Jean-Luc Picard day!